Start-ups and SMEs are being offered the chance to submit new Internet of Things (IoT) solutions as BT launches its latest BT Infinity Lab competition. The competition gives the winning company the opportunity to test its idea at scale and potentially bring it to market working with BT, TechHub and other partners. 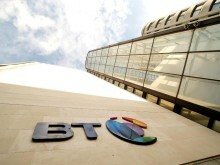 BT is looking for innovative start-ups and SMEs with solutions to help customers digitise their businesses, with a particular focus on operations including connected assets, buildings, vehicles, field force and supply chain. The winning idea could support BT with its own digital transformation and could help BT’s Ventures* business to develop and grow its IoT portfolio. Using technology to provide the best products and solutions for customers is already a focus for BT Ventures, and IoT is feeding into this in a range of ways. Focus areas for growth include field force service, fleet management and supply chain. The competition is an ideal opportunity for a start-up or SME to trial their new solution at scale ahead of any commercial launch. Access to BT’s expertise in research, innovation and engineering, as well as its commercial and marketing experience, which are vital when evaluating and trialling new products. Six month flexible membership to TechHub’s global entrepreneur community, workspace & support programme. Three finalists will be invited to attend the TC3 trade mission in California in November. Entrants are asked to submit a short video outlining their idea by the closing date of Monday 19 June. Those shortlisted will be invited to a ‘Dragon’s Den’ style pitch session held at BT Tower in London on 18July, where five judges will deliberate to find a winner. 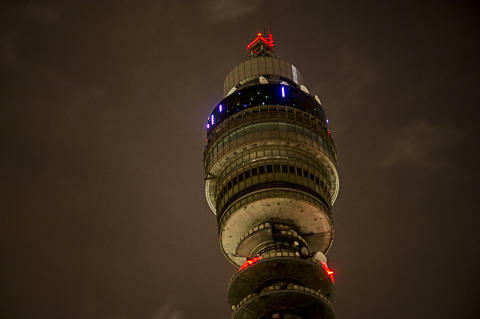 BT Tower itself hosts the highest, building mounted, IoT base station in the world, as part of the Things Connected network in London. The Internet of Things is a network of connected objects that exchange data to provide greater insight and better inform decisions. BT has recently established a dedicated IoT team within its Wholesale & Ventures business following the delivery of several successful projects in the areas of smart cities, asset tracking, retail and logistics. *BT Ventures is a group of businesses providing products and services for customers and includes BT Fleet, Supply Chain, Cables, Pelipod, Pay Phones including LinkUK, Voice Services, Directories, Redcare, Tikit and New Business. TechHub is the global community for tech entrepreneurs, supporting the growth of over 750 companies across the world, whether they're founders getting started, or fast-scaling 50- to 100-person teams. Membership is exclusively focused on product tech companies and in this way TechHub has supported thousands of high-growth tech firms creating technology IP over the past six years. TechHub also helps corporates access innovation culture and to work with startups to solve business challenges or develop new products. TechHub helps startups and scale-ups by understanding the process tech product companies go through and the needs they have at each stage. The community givesthese companies access to the things they need for growth including peer-mentoring, introductions to investors, a rich programme of advice, learning and inspiration that they can dip in and out of as they require. Some member companies are based with TechHub full time, and many others access the tech community spaces when needed. Headquartered in London in the UK, TechHub is also in India, Spain, Poland, Latvia, Romania and Wales with additional countries planned. TechHub member companies have been acquired by Google, Facebook, Twitter and Microsoft among others, and have raised over $1billion in funding.